Exhibition of telecommunications and information technology Bakutel is one of the leading specialised exhibitions in the country. The major event will be celebrating its anniversary this year. For 20 years the exhibition has gathered the leading players in the telecommunication market on one platform, being the main arena for the demonstration of IT products and services, where contacts are made and where new enterprises are created. The high status of the exhibition is emphasised by attendance of the President of the Republic of Azerbaijan, H.E. Ilham Aliyev, at the opening of the exhibition in recent years. The Ministry of Communication and High Technologies of the Republic of Azerbaijan has played a special role in the development and establishment of the event. The international prestige of BakuTel is confirmed by the support of global industry institutions, including the United Nations, ITU - International Telecommunication Union, Regional Commonwealth in the field of Communications (RCC), as well as by the quality mark awarded by UFI, the Global Association of the Exhibition Industry. This year Bakutel will be attended by more than 250 companies. 40% of which are regular participants. All Azerbaijan’s mobile operators will participate at the exhibition. National stands will feature companies taking part in the exhibition for the first time. Over 40% of the exhibition area will be occupied by major ICT companies, most of which are regular exhibitors at Bakutel. A number of countries will be exhibiting with national stands with the active support of the Ministry of Communication and High Technologies of the Republic of Azerbaijan. The exhibition continues with the tradition of giving young specialists the opportunity to speak about their inventions, programme and services at the largest event in the ICT industry of the region. This is why a lot of attention will be given to startup companies at this exhibition, with special stands for working at the exhibition made available to them. As always, Bakutel 2014 will stand out due to its interesting business programme, which will include a conference, seminars, round tables, business and internet forums and many other events. A conference on "Internet of things: beyond connectivity" will take place as part of the 20th Anniversary Bakutel Exhibition at the Fairmont Baku Hotel from 2 to 3 December. The conference will cover the new stage in the development of the Internet, where applications are able to assess what is happening in the physical world and use previous experience for decision making. The international forum “e-Gov 3.0: Call for innovation, modern trends and new opportunities” will take place within the framework of the exhibition. 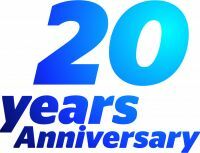 A programme of additional events will be organised to celebrate the 20th anniversary of the exhibition that will be a great surprise for both visitors and exhibitors and create a festive atmosphere at the event. The general sponsor of Bakutel 2014 is Intel. Eurodesign (Azerbaijan) and Tecnotree (Finland) are among the other sponsors of the exhibition. The organizers of the exhibition are Iteca Caspian LLC, Caspian Event Organisers and ITE Group Plc.